Danser devant le buffet | One quality, the finest. Catherine de Médicis was born on April 13, 1519. Her mother was a French noble woman and her father was the head of the ruling family of Florence. She was married at the age of 14 to the second son of the French king, Louis I, to forge a political alliance. Her husband became Henry II of France. 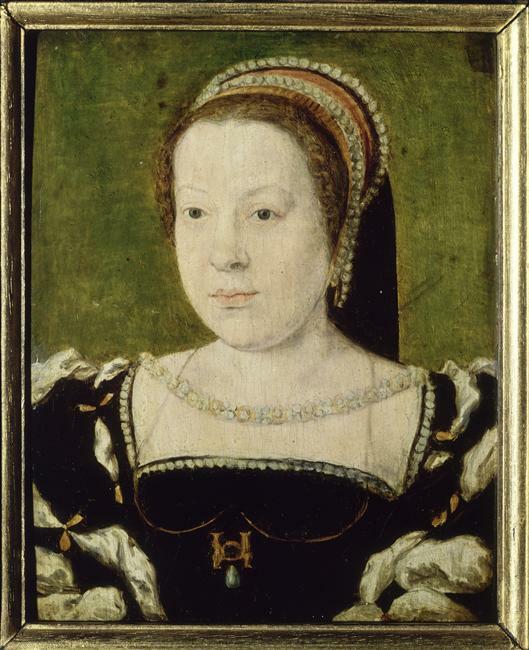 While her time as queen consort and regent for her three sons was marked by political and religious strife, Catherine’s arrival in France brought important gastronomic changes. Apparently, Catherine was quite fond of the pleasures of the table. She brought chefs, cookbooks (unknown in France at the time), and many Italian delicacies with her from Florence. She also brought the fork, hitherto unknown, with which to eat said delicacies. Foods we consider commonplace today, fresh fruits and vegetables and cheeses, were introduced at her lavish banquets. While a Sicilian is credited with first selling ice cream at his Paris café, Catherine certainly popularized iced desserts, a particular favorite of hers. French gastronomie was born, thanks to a Florentine princess. Today’s expression, danser devant le buffet (dahnsay duhvehn luh boofay) literally means “to dance in front of the buffet.” Ironically, it means to have nothing to eat. The idea is that since there’s no food, dancing is the only option at the banquet. Catherine’s banquets, however, apparently had plenty of both. This entry was posted in Cuisine, History and tagged Cathérine de Médicis, danser devant le buffet, French gastronomy. Bookmark the permalink. Pingback: Mener la vie de château | One quality, the finest. Pingback: Une maîtresse | One quality, the finest.